Missing persons cases aren’t her usual line of work, but a young woman has disappeared in strange circumstances and Cadence is pulled off her regular duties to investigate. The girl’s parents think she’s possessed. Which is impossible. Only, from what evidence there is - it looks an awful lot like she’s possessed. 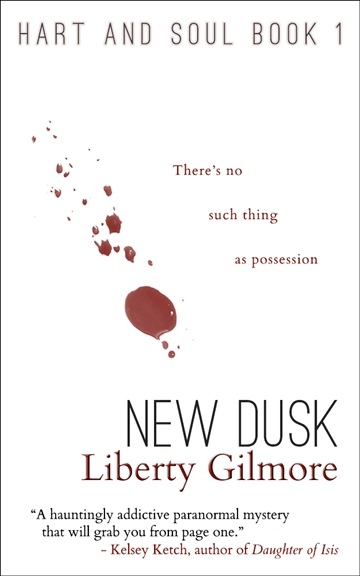 Liberty Gilmore is the author of the Hart and Soul series, long time book blogger and zombie enthusiast. If she’s not in her cramped little study, blogging or writing, you can usually find her with her nose stuck in a good book, experimenting with the slow cooker, and occasionally even out and about running. Except, it rather resembles stumbling most of the time. In fact, she usually looks a lot like those zombies she’s so fond of, and not the fast kind. Liberty lives in Shropshire with her fiancé, who will get the upgrade to husband in June 2017. You can find her on Twitter at @libertyfallsdwn.